I find that with some exercises, I cannot keep up with the video while keeping good form. Up until now, I've paused the video to complete my # reps, but on bad days (I have health issues) it will take up to 1.5 times as long to complete a workout. I find this is not helpful for my motivation. So I was wondering if I could just do as many reps as possible, and keep up the tempo, or will this yield poorer results? A workout program meant for anyone who struggles staying focused or motivated through their workouts. Incredibly effective and dynamic workout videos that have no repeat exercises make this program fun & effective. The most common mistake I see beginners make is being way too aggressive in their training, way too soon. 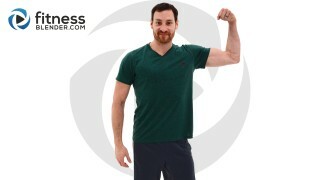 Here's a list of 10 beginner friendly workout videos, plus a quick rundown on how to get yourself off on the right foot.